Our address books are all handmade and come in three different sizes. They each contain an alphabetical index, which has a cellophane cover for protection. 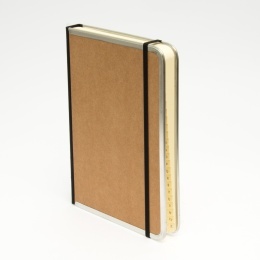 Each book block is thread stitched and made from premium cream writing paper. 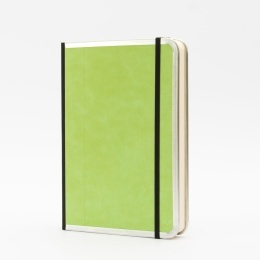 Also available from the CLASSIC series are notebooks or sketchbooks as well as diaries. 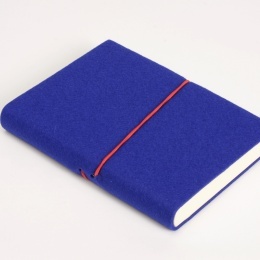 Address books featuring covers made from wool felt with a contrasting elastic closure strap. Tough and sturdy: a reliable travel companion for all your adventures. 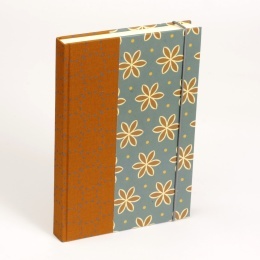 Address books featuring hardcovers made from patterned papers and screen printed linen.